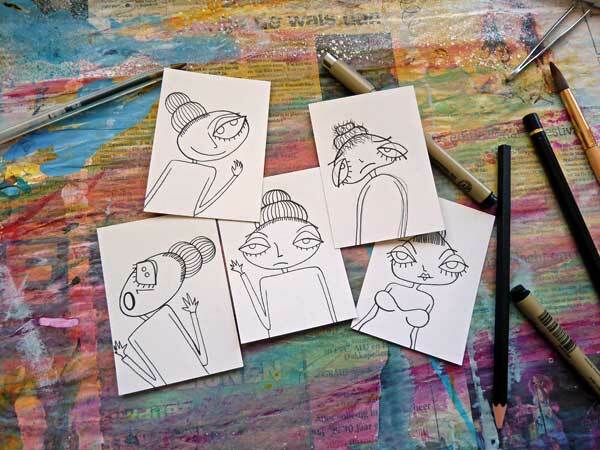 “Betsy” ACEO series of 6 cards…the last one yet to be made…all six still to get some colour! of obtaining art originals for in a very affordable way. can purchase them straight from my ACEO rack!